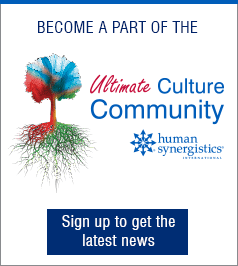 By Tim Kuppler and Robert Cooke, Ph.D.
Culture experts and enthusiasts recently gathered in San Francisco for the 2nd Annual Ultimate Culture Conference. A theme of the day was that most leaders recognize culture as a critical factor for success, but it remains an elusive concept and has become an overused word. To kick off the conference, Tim Kuppler interviewed Rob Cooke, CEO of Human Synergistics, to explore culture along with some related constructs (like climate) that are sometimes confused or used interchangeably with it. Some of Rob’s answers to Tim’s questions are summarized here. Why is it important to have a language for and measure of culture? Constructive styles: These styles reflect a balance between task and people orientations as well as a balance between focusing on one’s own needs and those of the organization. Aggressive/Defensive: These styles emphasize an orientation toward tasks more than people and members are expected to approach their work in forceful ways to maintain their status and security. Visit our video library and join the Ultimate Culture Community to view Rob’s full presentation and receive access to all conference videos and updates on new posts. Members were driven by Perfectionistic norms with explicit expectations to achieve unrealistic and potentially unattainable goals. There was a strong Power orientation with people at the top distant from people at lower levels. Oppositional behaviors were both expected and observed. The Aggressive/Defensive behaviors at the top drove both Aggressive/Defensive and Passive/Defensive behaviors at lower levels. There were strong norms and expectations for both Approval and Dependent behaviors, encouraging employees to accept questionable practices and never question their supervisors. Similarly, Avoidant behaviors were implicitly required with employees “not getting involved” when things were going wrong. A disconnect between values (the ideal culture) and norms (the current or actual culture) is all too common in organizations. First steps in effectively dealing with a culture-related problem or opportunity involve getting a clear picture of the culture through measurement and finding a common language like that offered by the OCI to guide changes throughout the organization. 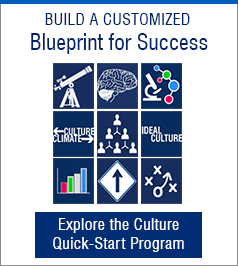 You built on this framework of cultural norms and defined a framework called the How Culture Works model. What is it all about? The Ideal Culture tends to be highly Constructive, with leaders and other members of organizations placing greater value on styles like Achievement and Humanistic than defensive styles, especially the Passive/Defensive styles, which they felt should be minimized. In a perfect world, the Ideal Culture should drive the Current Culture, with members reporting strong norms for Constructive behaviors and relatively weak expectations and requirements for Passive/ and Aggressive/Defensive behaviors. The Constructive norms, in turn, would translate into desired outcomes at the individual level (satisfaction, motivation, etc. ), group level (good teamwork, etc. ), and organization level (adaptability, quality, etc.). Unfortunately, that is often not how culture really works. The norms and expectations are not driven by the mission, stated values, and what leaders say they want. “Day-to-day norms are instead driven by what people experience around them,” says Rob. That includes what people experience in terms of structures, systems, technology (especially social aspects like job design), and the skills and qualities of others including their managers. In many cases, these “levers for change” fail to communicate or support Constructive norms and expectations—instead, they drive Defensive behaviors, both Aggressive and Passive. How does this model help you understand culture, climate, and the difference between the two? According to Rob, “One of the problems we have with culture is that everything has become culture.” Much of what people are referring to when they think they are talking about culture is actually organizational climate – the shared perceptions and attitudes of members of the organization. 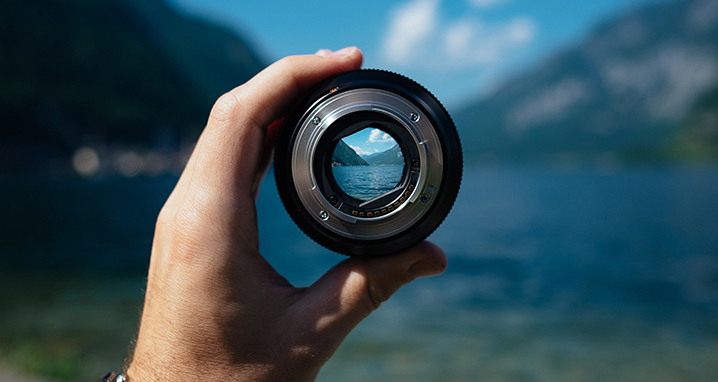 Climate factors, particularly shared perceptions, are Causal Factors that explain the previously mentioned disconnect between the preferred and actual culture of an organization. Members perceive things like the structure of their organization (e.g., level of empowerment and employee involvement) and systems (e.g., human resource systems for performance appraisal) that lead them to infer what is expected of them on a day-to-day basis. When these structures and systems are out of alignment with stated values, members come to believe that Defensive rather than Constructive styles are expected of them. Thus, if members view decision-making structures as authoritarian, they will infer that Passive/Defensive behaviors are expected as opposed to the participative styles that are purportedly valued. These norms translate into behaviors and, in turn, lead to low engagement and other negative outcomes. These outcomes are attitudes which, like perceptions, are dimensions of organizational climate rather than culture. Culture is about assumptions, beliefs, values, and norms. Climate is about perceptions and attitudes. It’s interesting that Ideal cultures are consistently Constructive across organizations in different countries. Why do they tend to differ along the Defensive styles? “We are measuring the factors that enable members to solve problems individually and collectively [Constructive] or behaviors that detract from people’s ability to solve problems individually and collectively [Defensive],” says Rob. Across the world, in over 60 countries where we have measured Ideal cultures, people say the Constructive styles should be expected. This makes sense given that our research shows that they lead to effective problem solving, collaboration, getting work done, and meeting members’ needs for growth and development. However, there are differences in how people in different countries view the Defensive styles, and these differences are driven by societal values. Societal values in terms of strong power distance, uncertainty avoidance, and collectivism2 have great predictive power in determining the shape of the Ideal culture profile. They lead to extensions (reflecting high value) along the Passive/ and Aggressive/Defensive styles. Such extensions are moderate or low in countries where power distance and uncertainty avoidance are low and individualism is strong. How are Constructive versus Defensive styles, the former which seem to be valued across the world, related to performance? The Constructive styles are positively correlated with sustainability and other measures of organizational performance. Outcomes across the organization, team, and individual levels are positive. The Passive/Defensive styles are negatively correlated with organizational performance and adaptability. Outcomes for Aggressive/Defensive organizations are unpredictable and variable—sometimes they do great, and sometimes they have terrible results. Members of these organizations may do things to look good along one criterion, but it’s at the expense of another. Rob shared how he’s observed a shift toward more Aggressive/Defensive cultural attributes in the banking industry [especially in large banks]. He used to use banks as an example to show that organizations in any particular industry were no more or less Aggressive/Defensive, Passive/Defensive, or Constructive than organizations in general. By 2005, however, something had changed: Banks were systematically becoming more aggressive. Larger banks were acquiring failing banks, and there was an increased reliance on aggressive selling. A “sales culture” was overtaking the larger organizational culture and leading to negative outcomes. With the interest in culture growing, many organizations are targeting a certain type of culture. It might be a safety culture, an innovation culture, or some other area of focus. What’s the problem with specifically targeting a type of culture? There are a couple issues with these problem-specific cultures. Let’s say the organization targets a safety culture: They may emphasize stopping production as part of that emphasis on safety, but doing so may run counter to the broader culture, which is about production at all costs. People in the safety arena are learning that and now want to build safety norms and procedures into the larger culture [which might have to be changed to properly support safety]. Another example is banks in which elements of a sales culture have emerged that are not consistent with the principles and values they espouse. The sales culture takes over because people respond to certain drivers, like reward systems, and the organization’s original values are lost. In closing, Rob encouraged change leaders to always pay attention to what culture is and what it isn’t. The principles he shared helped establish some culture fundamentals to assist us in better mastering this often misunderstood and elusive topic. 1 Cooke, R. A., & Szumal, J. L. (2000). Using the Organizational Culture Inventory to understand the operating cultures of organizations. In Ashkanasy, N. M., Wilderom, C. P. M., & Peterson, M. F. (Eds. ), Handbook of organizational culture and climate. Thousand Oaks, CA: Sage. 2 Geert Hofstede, G. (1980). Culture’s Consequences: International Differences in Work-Related Values. Beverly Hills CA: Sage Publications. Robert A. Cooke, Ph.D. is CEO and Director of Human Synergistics International and Associate Professor Emeritus of Management at the University of Illinois at Chicago. Dr. Cooke specializes in the development and validation of surveys used for individual, group, and organization development. His surveys include the Organizational Culture Inventory®, Organizational Effectiveness Inventory®, Leadership/Impact®, and Group Styles Inventory™, which have been translated into numerous languages and used worldwide for developing leaders, teams, and organizations. 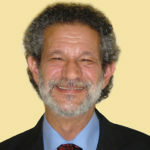 He is the author of more than 75 articles, chapters, and technical reports in journals including Psychological Reports and The Journal of Applied Behavioral Science. Cooke received his Ph.D. in Organizational Behavior from the Kellogg School of Management, Northwestern University, where he was a National Defense (Title IV) and Commonwealth Edison Fellow.